Have you found an online vendor selling Santiago de Cuba Anejo? As common as anything in Cuba. Very cheap and popular. The brand the locals drink, and you can see why. Not one to have straight, but any other way it's a winner. Fill up your suitcase on the way home with this! Far beyond expectations for that price, flavourful classic Cuban. Spændende bekendtskab, men med kendskab til deres 11 års, så er det svært ikke at forlange mere. Kæmpe ros til Fidel Castro og kravene til rom fra Cuba, men 11 og 25 års er oplevelser i særklasse og derfor en smule skuffet her. En smule billig/sprittet/parfumeret i smag, men stadig et fint glas og især med prise in mente. 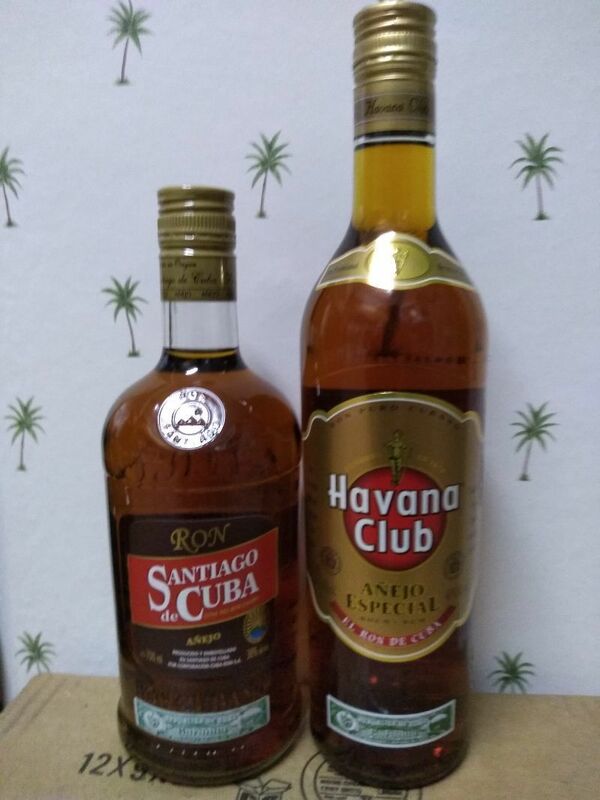 Pour tout ceux qui visite Cuba, il n'y a qu'un seul rhum a rapporter. Pas très dispendieux et c'est le plus savoureux. Es ideal para mezclarlo con Coca-Cola, la relación precio sabor es muy buena. Lástima que sólo lo que conseguido en Cuba. excellent rum, not overpowering. Great for rum and coke! 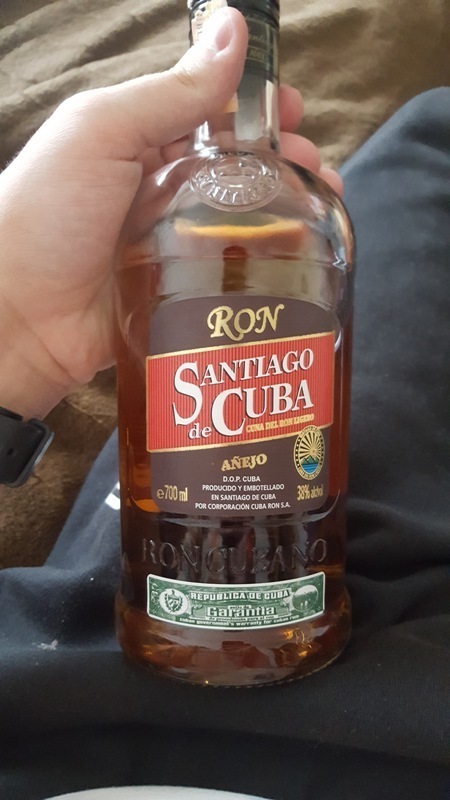 In Cuba,the same exact rum,made by the same company,is distributed under different brand names and slightly different price points.Not a bad rum and has a slightly sweet woody taste,typical of the Cuban rums.Buy this one and save a buck or 2 over the Havana Club especial - it's the same product! Raz na jednej oslave. Veľmi dobrá chuť aj vôňa. Príjemné popíjanie. A nice rum, but nothing special. The rum has a full taste. Zeker niet de beste rum. Sterker, eigenlijk heel gewoontjes en in Cuba overal te vinden en door de locals gedronken. Maar juist door die geweldige vakantie een hele warme associatie bij deze rum. Bouteille rapportée de Cuba, parfum vanillé et doux en bouche. Very strong and powerful rum, average, lacking class. sure it is not a high end Rum but for 12 Dollars you can not expect that. If you compare it with Rums in the same Price class, you will realise that it is ways better. This one and the Ritual of Havana Club I have everytime at home for guests (not rum experts) and everyone liked it. Smooth like typical for Santiago Rum. Not expensive and really good. This is the real stuff ... Can very much recommend it. Tradiční kubánský rum smíchaný ze směsi stařených rumů s relativně jemnou chutí. Middle dark rum. Very cheap. Tasty an sweet. Good for mix and for enjoy on the rocks.